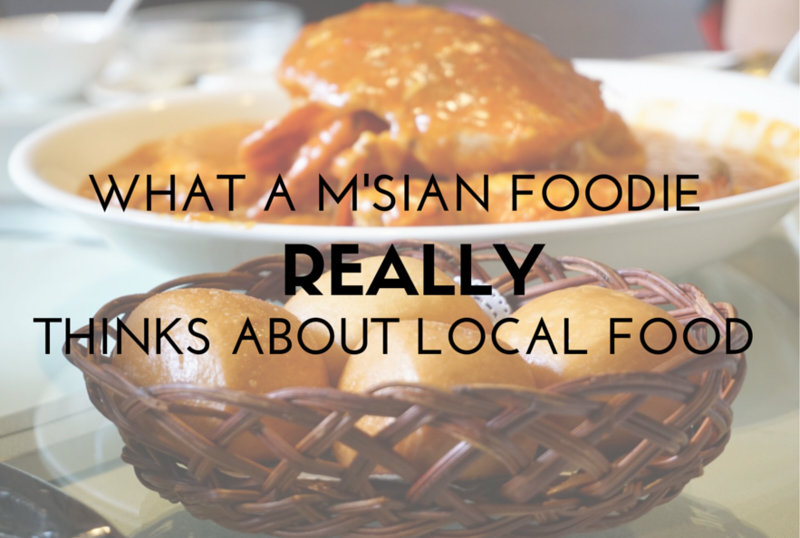 In my opinion, the perennial debate over whether Malaysia or Singapore has better food is something that need not exist. Having lived in both countries and tasted food at every level, it is hard to say whose food is better. Just like everything out there, both have its strengths. While I personally believe Malaysia probably fares slightly better for hawker food in general, I believe Singapore easily overtakes Malaysia for speciality dishes such as the chilli crab and chicken rice. When I was down in Singapore for two weeks, I got to try Red House Seafood’s chilli crab ($72 per kg) with fried mantou and their house special, charcoal buns with chilli crab filling ($10 for 3, 40% during lunch until Dec 31 in conjunction with their 40th anniversary). In KL, when we go out to have crabs, we normally tend to order them steamed or with salted egg yolk. But there is nothing quite like the Singapore chilli crab with its thick, gooey sauce, tangy flavours and slightly sweet aftertaste. The dish is only made more memorable after the crabs have been finished and all that is left is to dip the fried mantou into the sinfully good sauce. Not a single drop should be wasted. The charcoal bun with chilli crab filling was a pleasant surprise. The innovative dish incorporates charcoal powder into the bun, which makes it softer than anyone can imagine. Packed with the chilli crab filling, these buns were quite a treat. I don’t think I would be able to find anything close to this back home. The trio of squid was another stunning dish. While I think this can be easily found in Malaysia, this dish is special because it has all three types of squid in one dish. We also tried its crab bee hoon at Red House seafood, a slightly upscale seafood restaurant along Prinsep Street, just a stone’s throw away from the bustling Orchard Road. Again, this is a dish uncommon to Malaysia. The Sri Lankan crabs used in Singapore are easily three times larger than those found in Malaysia. My theory is that the best crabs go to Singapore, and Malaysia gets the rest. For some unknown reason, I’d expected the dish to be fried, but to my surprise, the dish consisted of a cold water crab bathed in rich, deeply flavoured broth and surround by thick bee hoon. The milky sheen of the broth reminded me very much of fish head bee hoon soup and indeed, the taste of this broth bore some similarities to the fish head bee hoon soup, but with more depth. The crab seemed to have enhanced the flavour of the soup, bringing it up a notch. Again, I have to admit that I probably wouldn’t be able to find an eatery in KL that could serve a rival dish. But if we talk about dishes that could contest each other in flavour and consistency between the two countries, it will have to be Roast Paradise’s char siew. Admittedly, Randall and Kai, the two Gen-Y owners of the hawker stall in Old Airport Road Food Centre, completed a four-week training course in Kuala Lumpur before opening their stall. But they have taken the best of what they could learn from an expert in KL before making the char siew in a uniquely Singaporean way. I had the utmost privilege of speaking to Randall, a 26-year-old entrepreneur who was so passionate about food, he was willing to go against his parents’ wishes to enter the hawker trade. In only four weeks of training, he and Kai had mastered the art of preparing char siew and now serves to a strong crowd almost daily. The sweet marinade of the char siew meat ($4.50 for 100gm), coupled with an unparalleled expertise in the technique of achieving tender roast meat, is what makes this dish memorable from start to end. The trip to the food centre might be a hassle for some, but it is worth it. 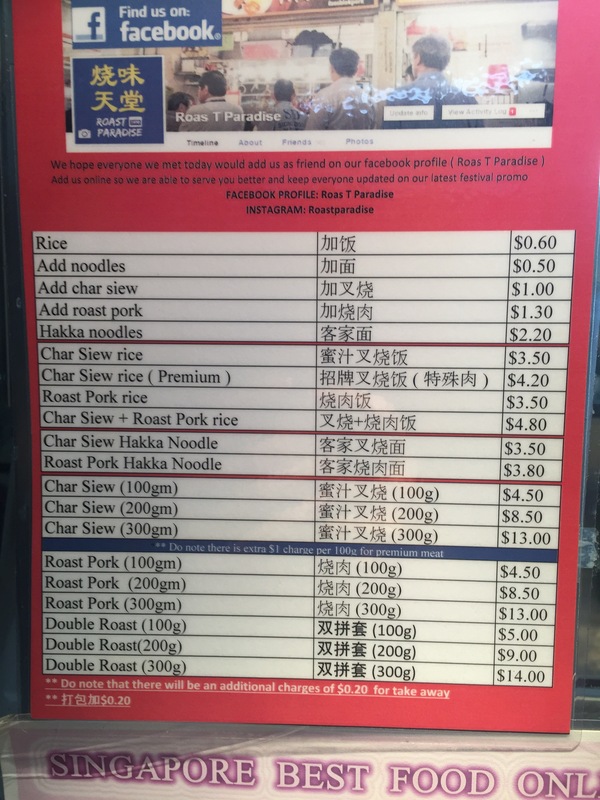 The dishes come with garlic rice ($0.60) or freshly made Hakka noodles ($2.20). They had, unfortunately, ran out of garlic rice and roasted pork ($4.50 for 100gm) when we were there at about 4pm (towards the end of their second service). However, we did manage to try the Hakka Mee. In comparison, hawker food in Singapore is incredibly affordable compared to Kuala Lumpur, where an average bowl of noodles can cost up RM5.50. Would I say either country’s food is better? I strongly believe they’re both good in their own way. Healthy competition is always encouraged. Brought to you by Discover SG x Foodie VS The World. Also, read Watermelon Fried Rice In Singapore, Have You Tried It?